We’ve slowly arrived at the last quarter of the year, and with it comes a whole slew of new restaurants and cafes. 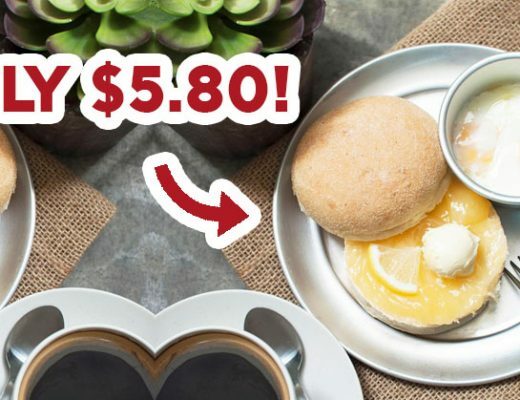 Some highlights to check out are Black Tap’s famous burgers, Five Oars Coffee Roasters’ Creme Brulee French Toast and The Carvery’s new meat buffet. 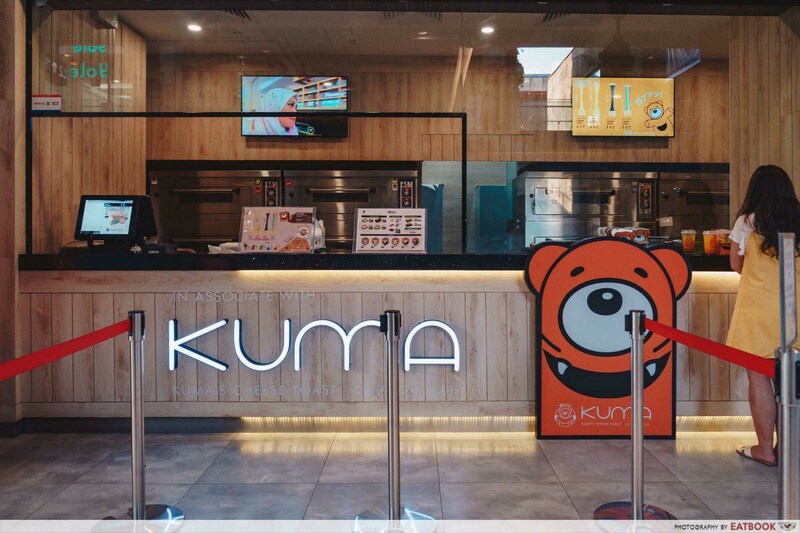 ‘Grammers, be sure to pop by Kuma as well. This new rainbow cheese toast shop offers the most colourful cheese toast we’ve ever seen. Adding on to the list of famous international restaurants arriving at our shores is Black Tap. 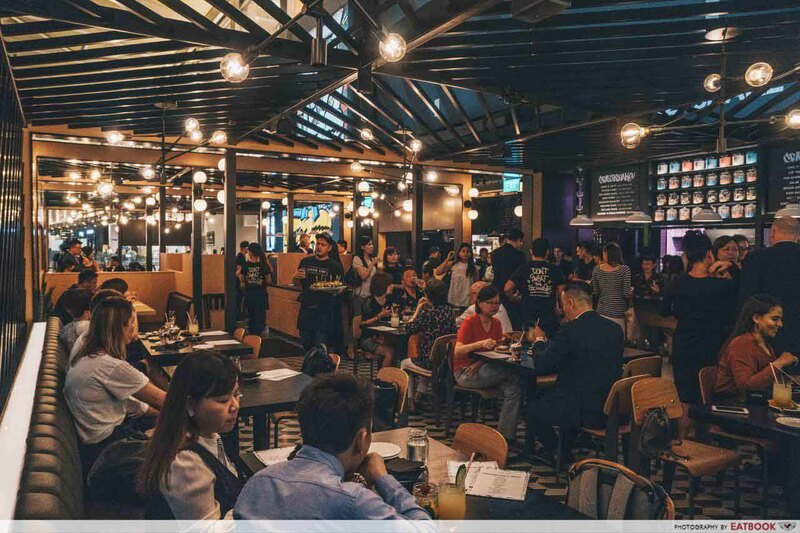 A popular burger joint from New York, Black Tap opens their doors at Marina Bay Sands on 1 September 2018. The All-American Burger ($22++) is one of the signatures. Though basic, the juicy and thick patty would wow you with its taste that resembles that of a steak. If you’re a fan of pungent blue cheese, you’d want to try The Greg Norman ($26++), which comprises blue cheese and a wagyu patty. Their menu also offers burger salads such as Black Tap Burger Salad ($22++), Crispy Chicken Salad ($23++), and Greek Lamb Burger Salad ($23++). When at Black Tap, your experience wouldn’t be complete without trying at least one of their shakes. One of our favourites was Sweet N’ Salty ($22++) – a peanut butter shake mixed with pretzels, peanut butter cups, and M&M’s. This snazzy new joint at the basement of Hong Leong Building serves up scrummy beef bowls all day. 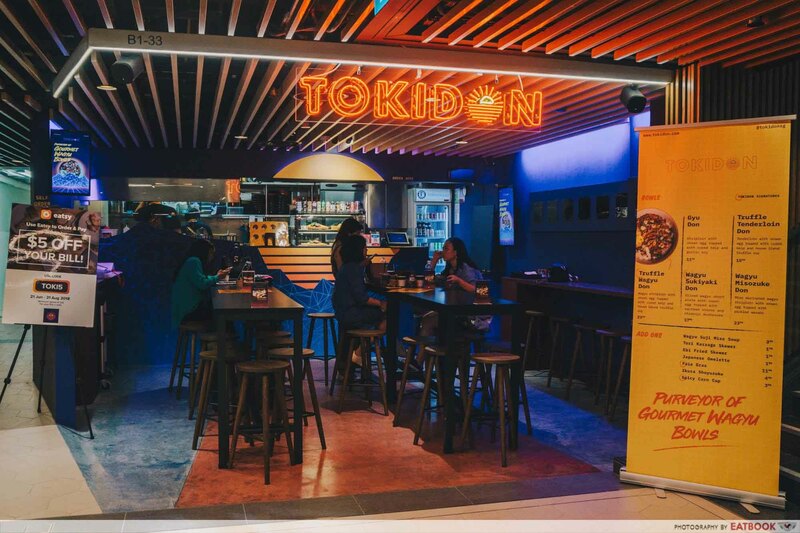 Opened by the people behind Kabuke, Tokidon is the sister restaurant that offers more affordable versions of Kabuke’s signatures. There are only six mains on the menu and five of them are beef rice bowls. The last is Salmon Cha Soba ($16.90), which isn’t what we’d return for. For a quick meal, go straight for their Gyu Don ($11.90). 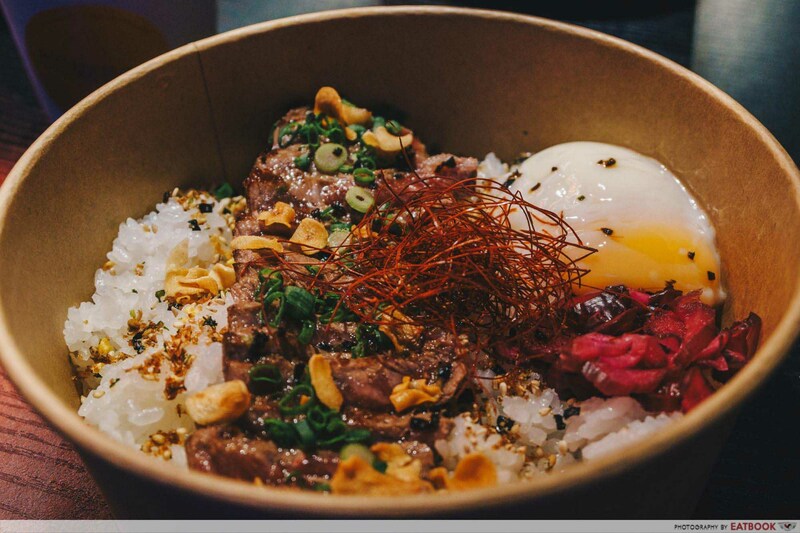 This comes with a row of striploin slices and an onsen egg resting atop a bed of Japanese rice. The beef was soft and juicy, but we wished it came in thicker slices. If you have more budget, get a Wagyu Sukiyaki Don ($17.90). Comprising sliced wagyu plate, shimeiji mushrooms and sauteed onions in sukiyaki sauce, this donburi was sweeter and richer in flavour compared to the rest. Truffle Tenderloin Don ($15.90), Truffle Wagyu Don ($23.90) and Wagyu Misozuke Don ($23.90) are also on the menu. If you’re feeling high-SES, you can add Foie Gras ($11.90), Ikura Shoyuzuke ($4.90) or Japanese Omelette ($1.90) to your meal. 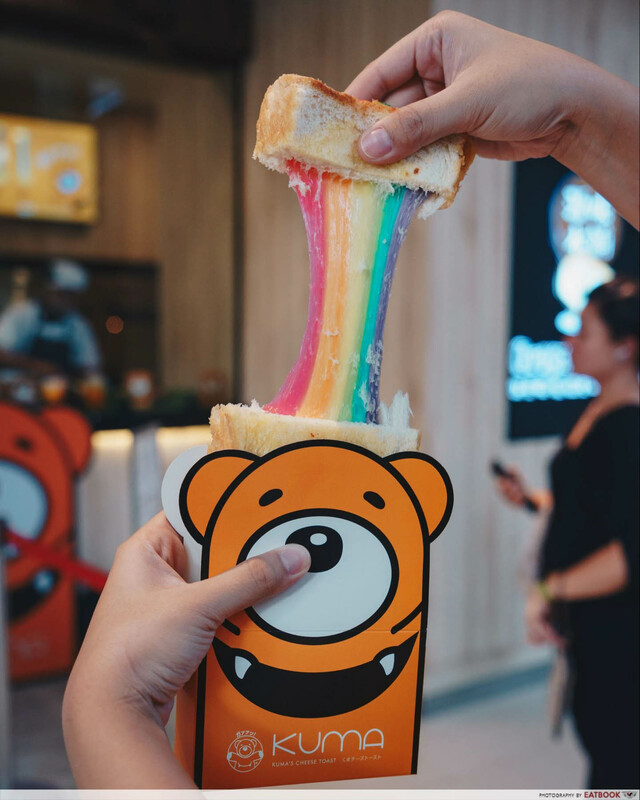 With the slew of toast kiosks opening in Singapore this year, cue Isaac Toast, Say Chiizu, and Egg Drop, Kuma Rainbow Cheese Toast takes the cake for being the most colourful. Sharing a space with Original Cake, the castella shop from Taiwan, Kuma Rainbow Cheese toast can be seen from a distance thanks to their orange bear mascot. Get your cray on with their rainbow-coloured creation. At $6.90 a pop, you get your money’s worth with a thick, palm-sized toast, filled generously with cheese. Not only have they cleverly captured a rainbow between the toasts, they have also impressed us by passing the cheese stretch test with flying colours. 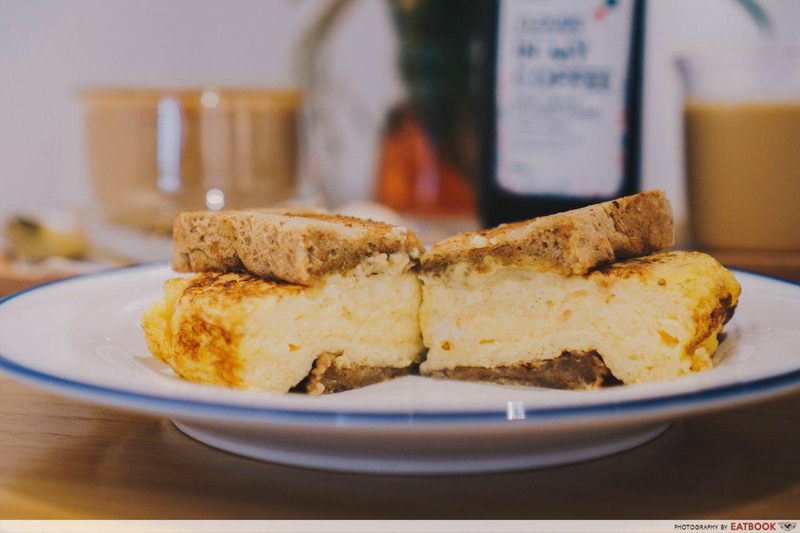 If you’re looking for a dessert after lunch or dinner, look no further as this cheese toast is surprisingly more sweet than savoury. 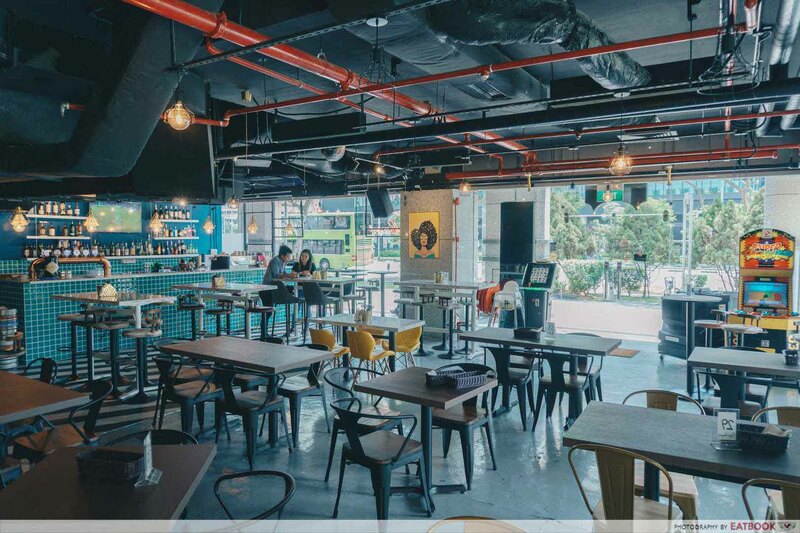 Located just opposite Our Tampines Hub, the three-month-old Tipsy Penguin is more than a regular sports bar. For one, the grub they offer go beyond soggy fries and frozen kaarage. 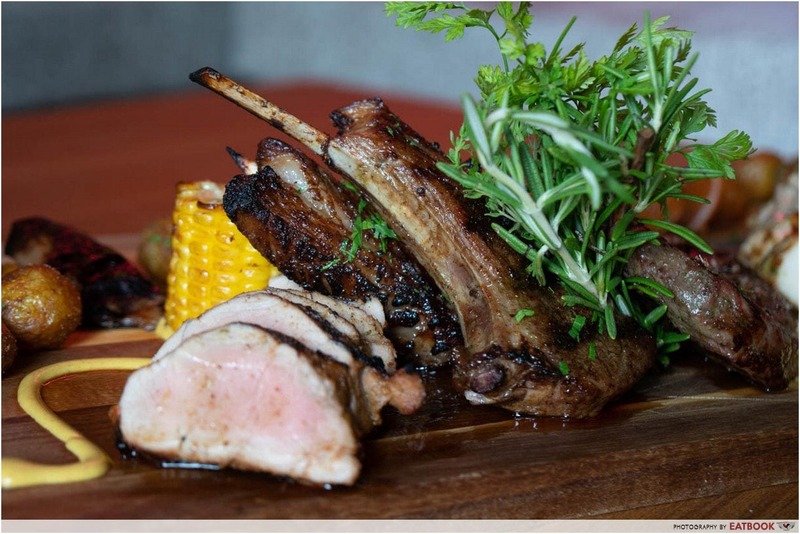 There’s a wide range of nosh on the menu for both hungry souls and those looking for a nibble. The Bishi Bashi machine will also be able to entertain the happy drunks. Singapore Bowl ($14++) is the dish for salted egg lovers. 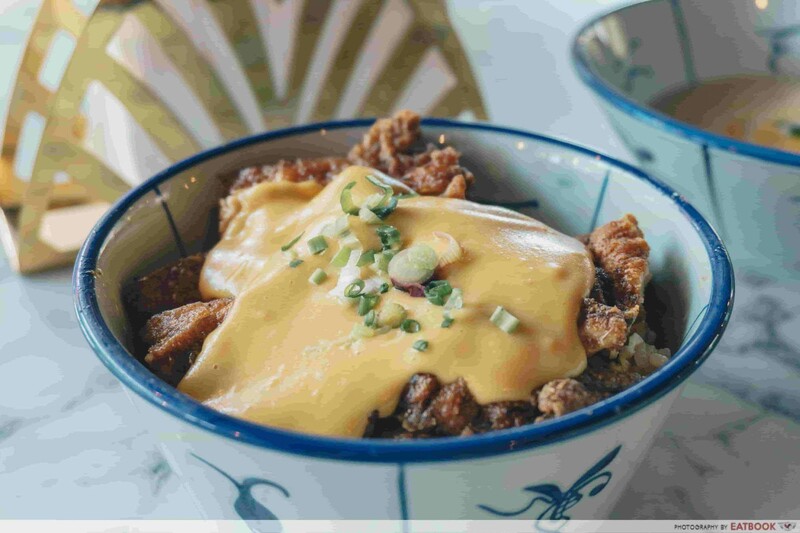 This is shrimp fried rice that is wok-fried in salted egg bits, then topped with Hainanese-style chicken chop and housemade salted egg sauce. They also have mains such as Mac & Cheese ($10++) made of three different cheese, and sharing plates such as the tongue-numbing Szechuan Mala Karaage ($10++). 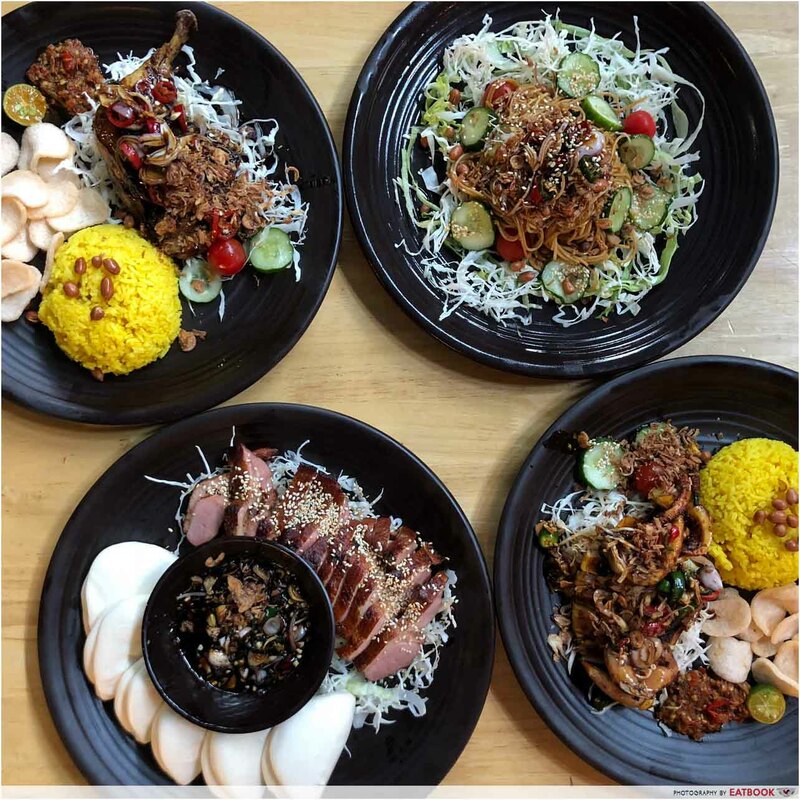 Pick any two sharing plates that cost $10++ or less and get both at just $15++. 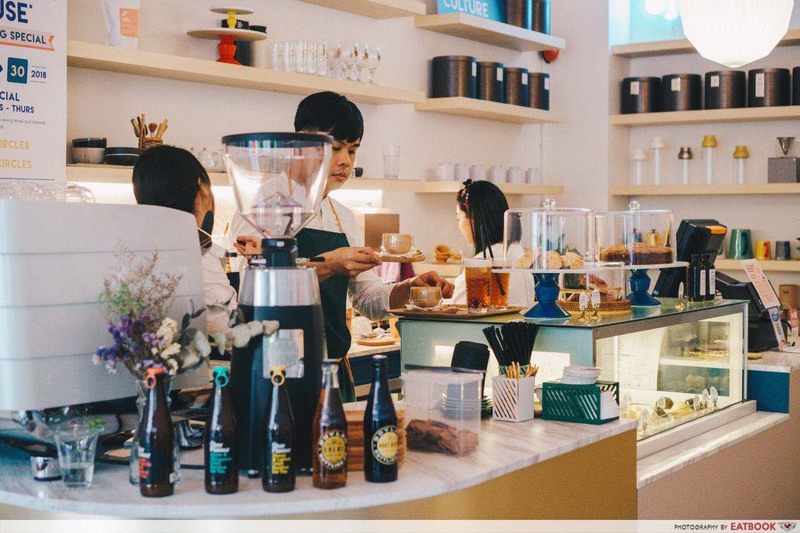 Just a short walk away from Clarke Quay MRT Station, Dopa Dopa Creamery stands out along a row of shophouses with its eye-popping yellow signboard. Using only natural ingredients, Dopa Dopa offers just eight gelato flavours a day, and their small yet interesting range of flavours will leave you wanting to try them all. Each flavour is kept in their individual pozzetti – a traditional Italian way of serving ice-cream to preserve freshness by preventing cross-contamination by air. 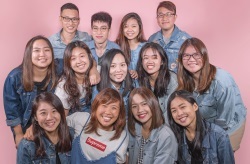 At Dopa Dopa, standard flavours such as Watermelon Mint go at $4 per scoop, while premium flavours like their Home Roasted nut flavours go at $4.70 per scoop. I recommend going for their nut flavours if you’re deciding on just one scoop. Their gelato has a slight chewiness to it and you’ll be entertained just watching the stretchy gelato being lathered on top of each other. 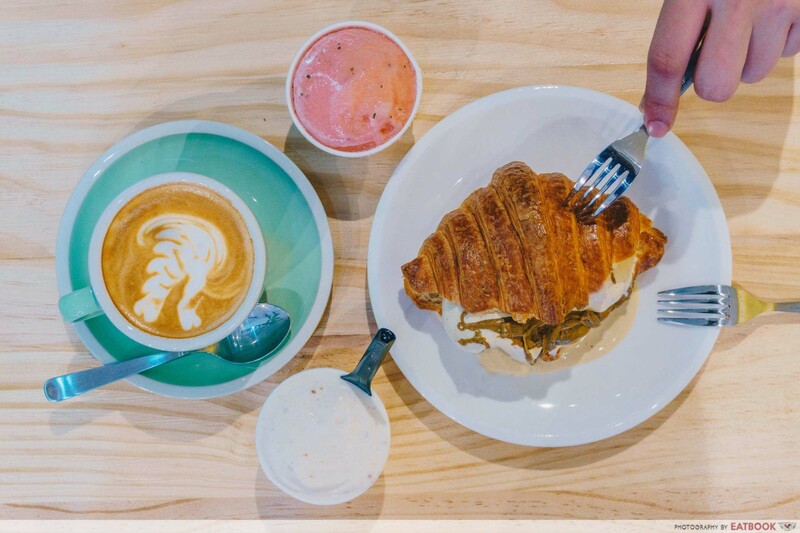 A unique dish here is Butter Croissant ($5.30) with gelato. You can add $1 for a pistachio or hazelnut drizzle over the croissant. If you need a drink to go with your dessert, Dopa Dopa also offers coffee and tea. 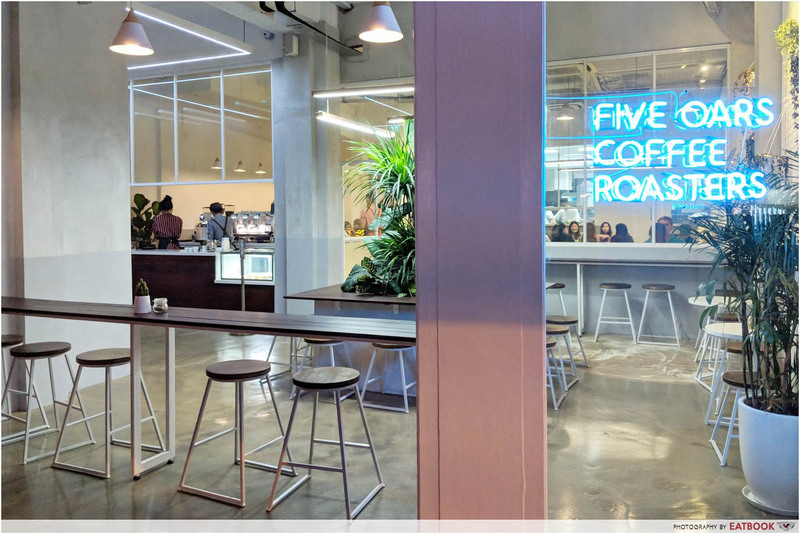 Five Oars Coffee Roasters is the much needed breath of fresh air to the cafe scene. It’s found along the stretch of shophouses along Tanjong Pagar Road and there was quite a queue when I popped by on a Sunday noon. 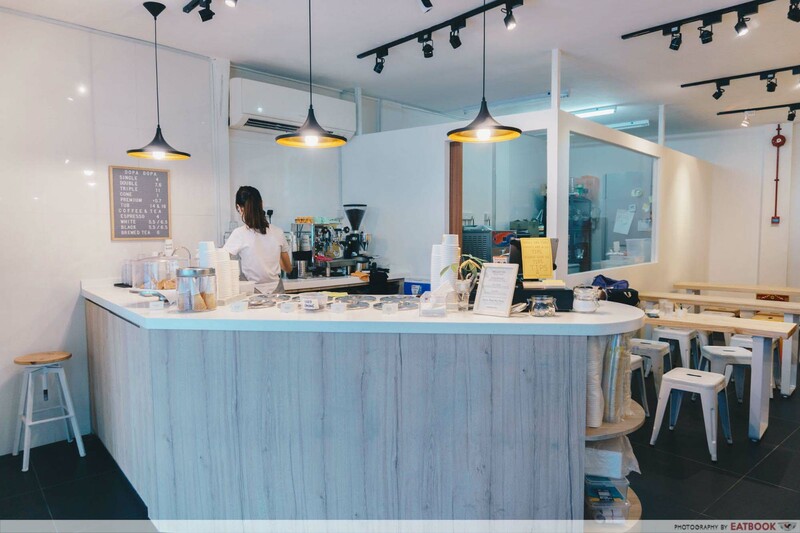 While it looks as #aesthetic as any other minimalist cafe out there, it is the food that impresses. What’s good here is definitely the Creme Brulee French Toast ($18.50+). You’ll get two thick slices of brioche topped with a hard layer of caramelised sugar. 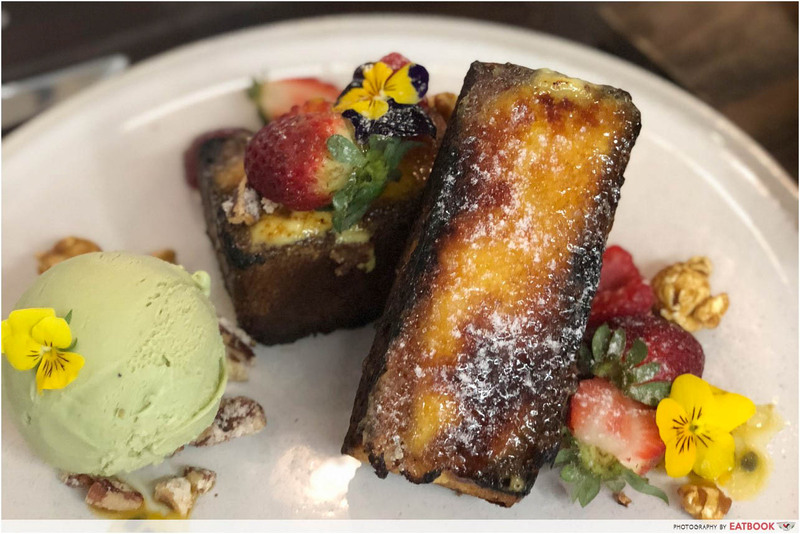 Don’t be fooled by how typical it looks; between the toast and torched sugar is a layer of custard that’ll surprise you on first bite. Pistachio ice-cream and mixed berries complete this sweet treat. Another new cafe on the block, Grids & Circles comes with a cheerful, happy vibe. A three-storey shophouse along South Bridge Road holds the cafe on the first two levels and design agency Sando on the third. Walking in, you’ll find shelves of minimalist knick-knacks that you can buy to make your home look more Muji-esque. While the menu comes with rice bowls and pasta, it was this Tamago Sando ($12++) that won my heart. Tucked between two slices of toast is an incredibly fluffy Japanese omelette that’s paired with house-made pear sauce and konbu mayo. While the bread isn’t much, I’d happily pay just to have the egg and sauces. The subtly sweet pear sauce held its own, and elevated the simple sandwich, making this what I’d eat for breakfast every day if I could. A mellow woody fragrance greets you when you step into House of Mu. Acting as a showroom for Burmese teak furniture, the wooden dining tables and modern teak sofa decorating the restaurant are all available for purchase. And while the furniture is gorgeous, they were overshadowed by the sumptuous food rolled out by Chef Tyrell Joon, an ex-Les Amis chef boasting many years of French culinary experience under his belt. Suited for four hungry souls, the Munster Platter ($138++) features a selection of meats, all sous-vide to ensure they retain their moisture for added juiciness. 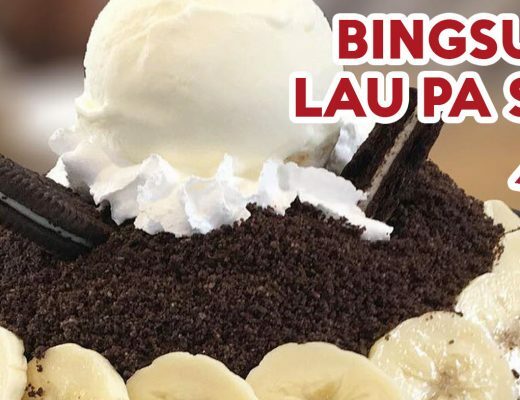 Save space for dessert; the pastry chef is none other than Pang Ji Shuang, more commonly known as Chef Song, from the now-defunct Fat LuLu’s. 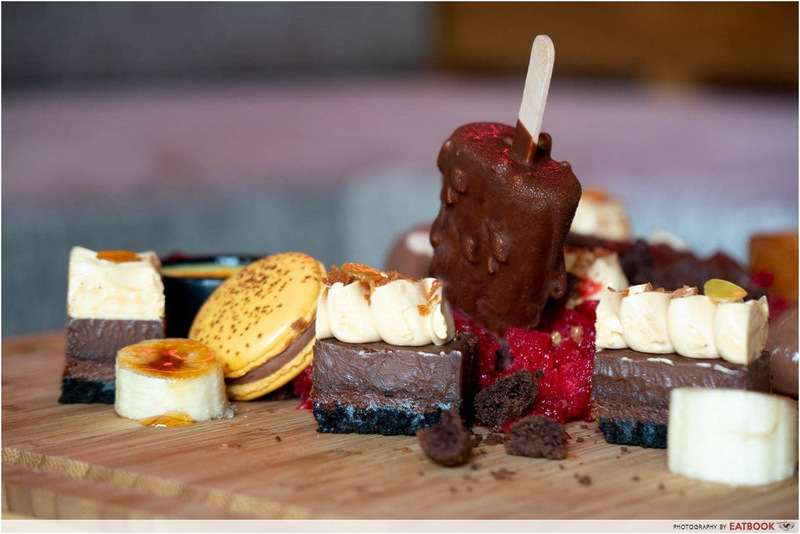 I promise you will be in awe when the Dessert Platter ($46++) arrives, with its assortment of sweet treats that’s highlighted by a house-made peanut butter popsicle – Chef Song’s specialty. 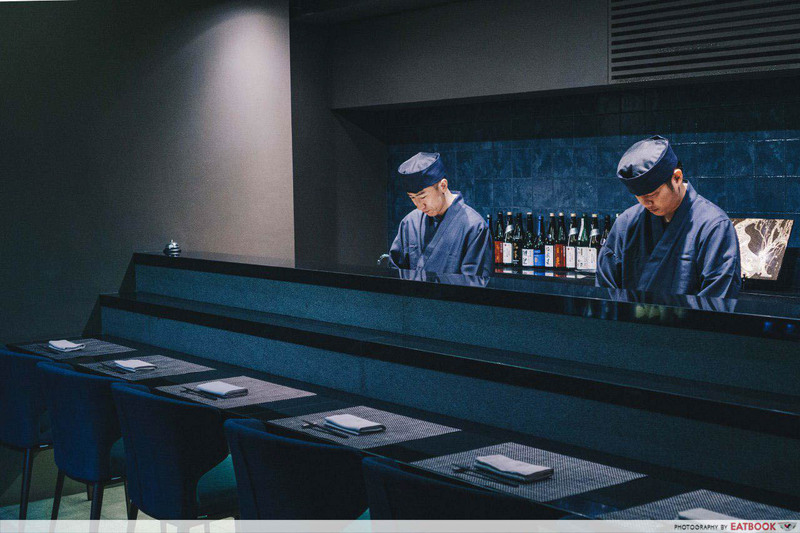 Rizu is one of those atas Japanese restaurants that you’d save for a special occasion with bae. Found at Duxton Hill, this quiet restaurant is opened by Hisamizu Takahashi, who started his foray into the restaurant industry when he came to Singapore in 2016. The menu is pretty small, with the bulk of it being sushi and sashimi. There are just two mains and three rice bowls available. A serious looker is this bowl of Ikedukuri (Live Fish Sashimi). There are three types to choose from, namely Boston Lobster ($45++), Geoduck (from $45++ for a quarter), and Abalone ($15++). 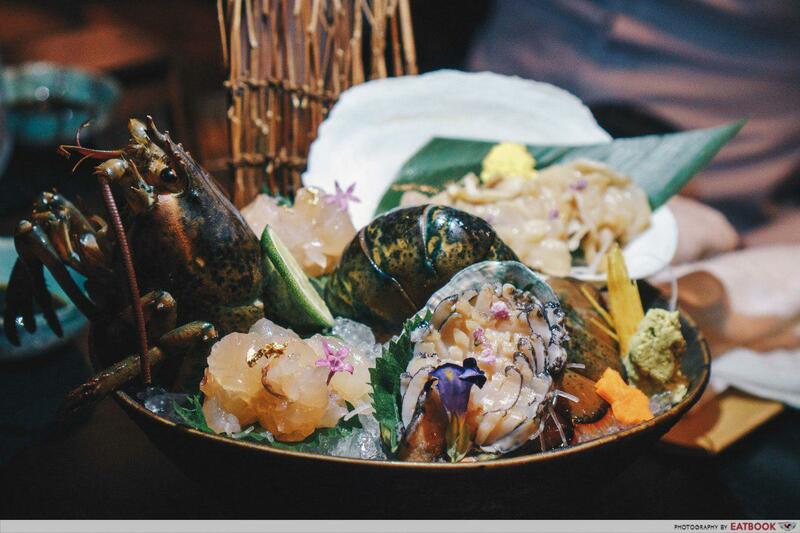 The live seafood is sliced on the spot and served on a bed of ice. If you prefer hot meals, go for their mains. My favourite was the Miso marinated Grilled Black Cod ($25++), which is a dish you can find at the world-famous Nobu as well. The cod came with a slightly charred exterior, giving the buttery and sweet fish a little of that smokey fragrance. 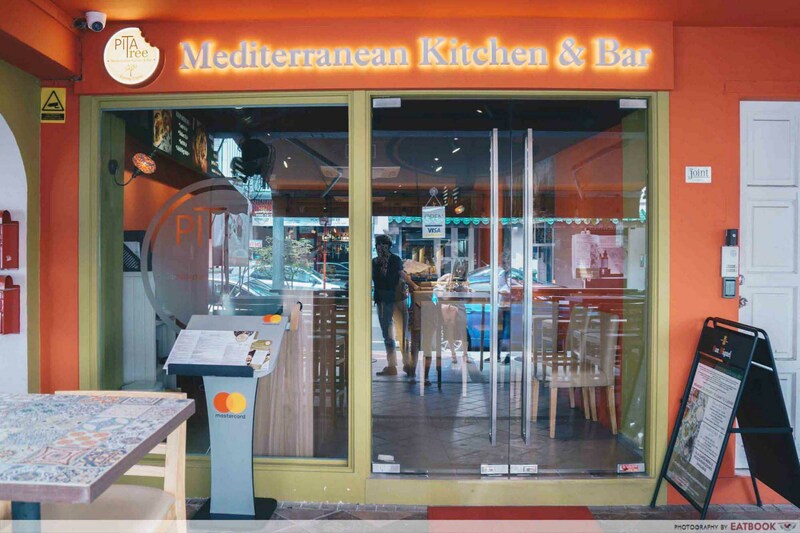 A new face at Boat Quay is Pita Tree Mediterranean Kitchen & Bar. While its facade may be unassuming, step into the month-old restaurant and you’ll be pampered with a surfeit of delish food. Whether it’s their Kibbeh ($12++) – fried lamb patty balls with a robust umami flavour – or peppery Spicy Eggplant dip ($8++), every item we tried was a total knockout. If you had to eat only one dish, make it the Arabic Lamb Shank Biryani ($38++ for two people). Just like a magic act, removing the top of the copper bowl revealed a treasure trove of lamb, rice, raisins and carrots. As a result of being double-baked, the lamb meat gave zero resistance as it was scrapped off the shank. Thanks to the absence of ghee, the dish was light on the palate yet filling to the stomach. Although it’s supposed to be eaten by two, the portions are hearty enough for a party of four. Warung K might not offer the prettiest plates, but the taste of their charcoal-grilled meats more than makes up for it. 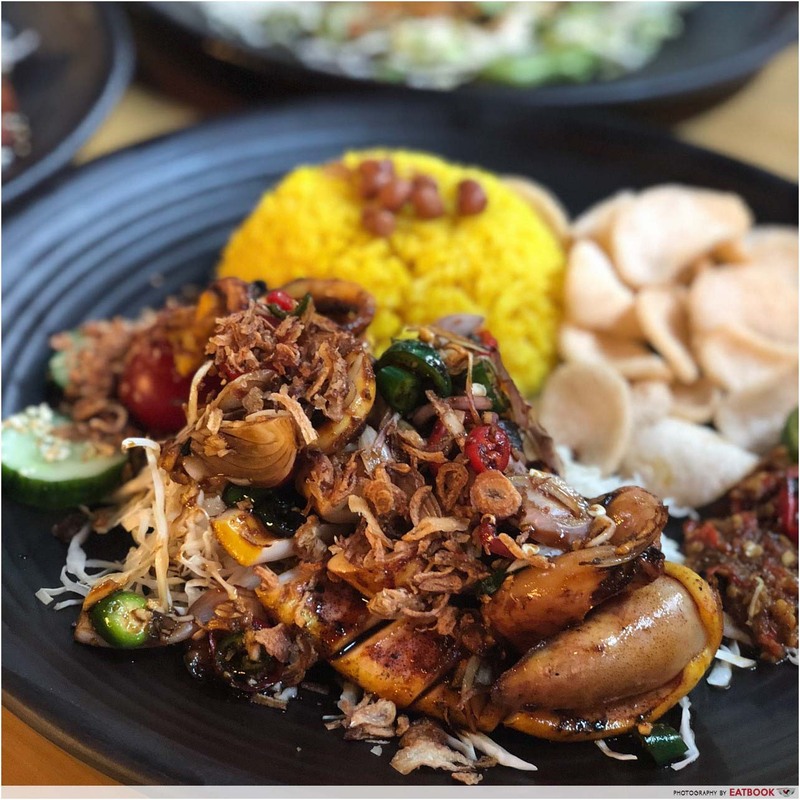 Run by Chef Ken, who used to work at hotels such as Fullerton Bay and Pan Pacific, the hawker stall has recently relocated from Pioneer to Timbre+. With the change in venue comes a couple of new dishes, including Charcoal Smoked Duck with Steamed Pau (7.90) and Chilled Indomie ($6.90). The signatures here are, of course, the meats that have been grilled over charcoal fire. My favourite was the Chicken Leg Bakar ($7.90). Chef Ken cooks the chicken in a mixture of chicken fat and Indonesian spices to pack the chicken leg with flavour, before grilling it with a kecap manis glaze. What struck me was how crisp and caramelised the chicken skin was on first bite. Breaking into it revealed fork-tender meat, which goes so well with their tumeric rice. You can get charcoal-grilled Hokkaido Squid ($11.90) and Marinated Steak ($12.90) as well. Health-conscious ones can opt for Balinese-style quinoa instead of tumeric rice at an additional $3. 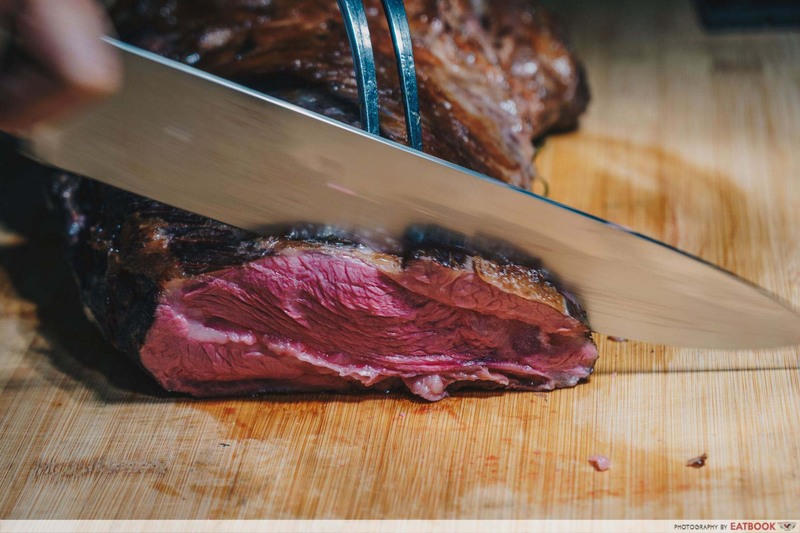 Meat lovers are in for a treat with The Great Meat Feast at The Carvery, Park Hotel Alexandra. This year’s rendition features an all-beef lineup with a variety of unique cuts and beef from around the world. Only from 28 September to 21 October, the buffet is priced at $78++ every Monday to Thursday and $88++ every Friday to Sunday. There’s additional reason to visit during the weekend thanks to the Yukimuro Snow-aged Wagyu Beef. Beef from the snow-heavy Niigata prefecture is stored in a snow-covered room to preserve and age naturally. This differs from conventional dry-aged beef which is affected by vibrations caused by electricity and motors. The stress-free ripening gives the meat a much more tender texture while mellowing down the flavours of the beef. 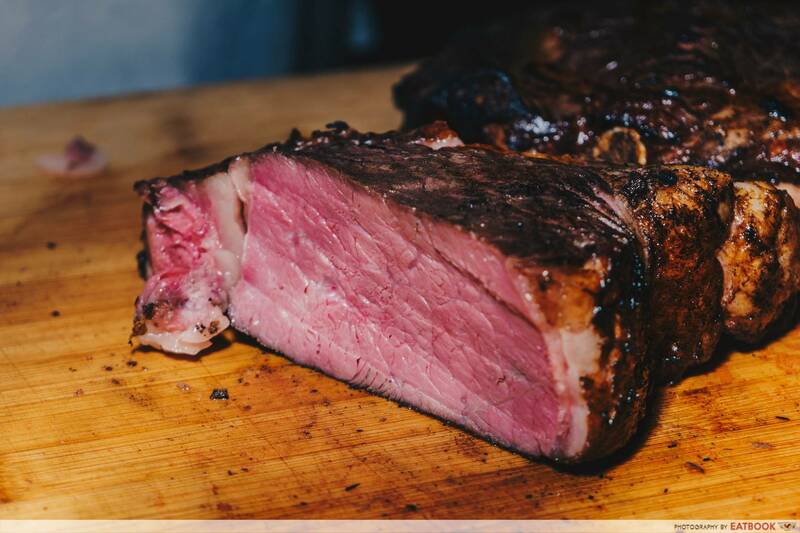 Fans of Tomahawk steak, a popular cut in recent times, will love the award-winning Australian Beef City Black Angus that is cooked dirty-style, directly on hot coals, to give an intense smokiness to the robust flavours of the grain-fed meat. There’s also a variety of condiments and sauces to complement the beef, including flavoured butters such as truffle and red wine, and four interesting variants of gourmet salts. A value-for-money buffet gem is Yakiniku Ohji, located at Jubilee Square in Ang Mo Kio. There is something inherently fun about grilling meat on top of charcoal indoors, and transporting it straight off the grill and into your mouth. 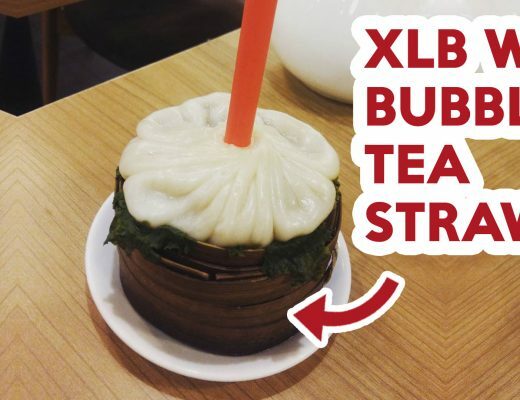 Their first outlet in Clementi offers the same yakiniku buffet menus, but the new one here features an option to top up for a sushi buffet as well. 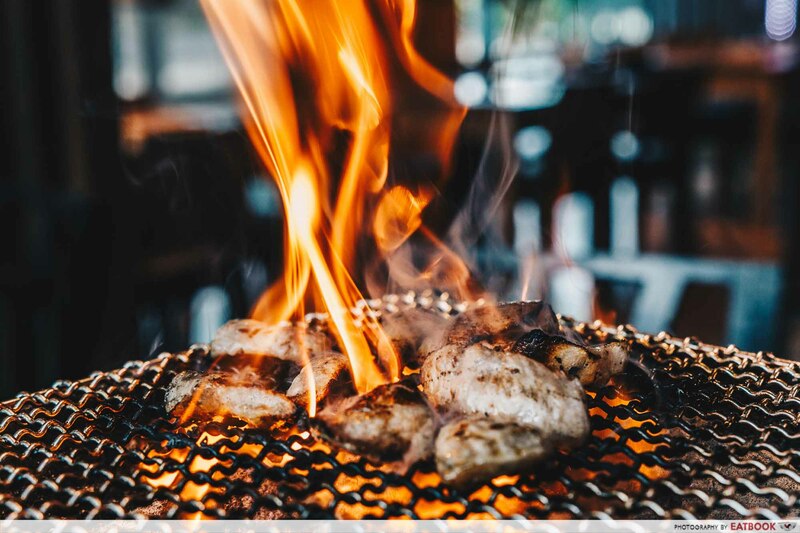 With prices from $17.80+ for adults and $13.80+ for children, you get a basic set that features meats such as chicken, pork, and arabiki (coarsely ground) sausage, as well as an extensive selection of vegetables, sides, and dishes including ramen and fried chicken. 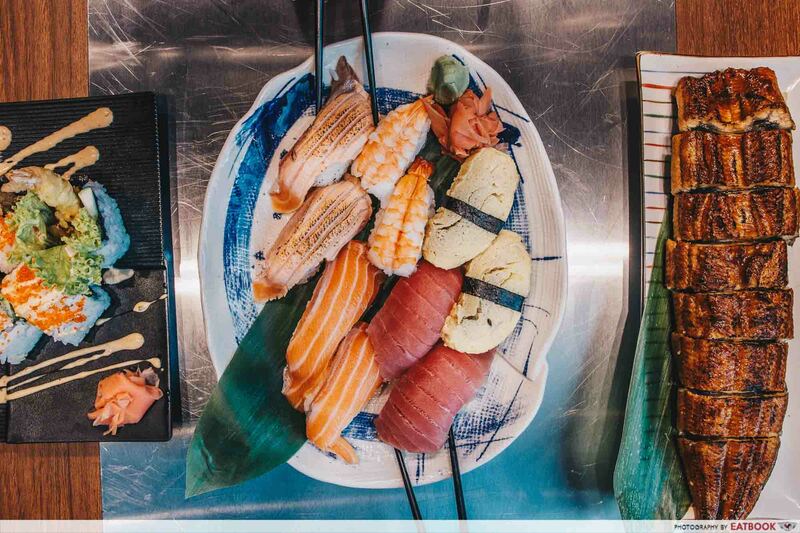 The sushi buffet sets you back an additional $17.80+ for adults and $13.80+ for children, giving you free-flow sashimi, rolls, and maki. Add $2+ for each buffet price if you’re heading here for dinner or on the weekends! Check out our full review of Yakiniku Ohji! With this list of new restaurants and cafes to check out, September should be a pretty busy month for all of us. Let us know if you popped by these places and whether you liked the food there!